We are currently looking for mini collaborators to be featured in our Promotional Ads on instagram and facebook. 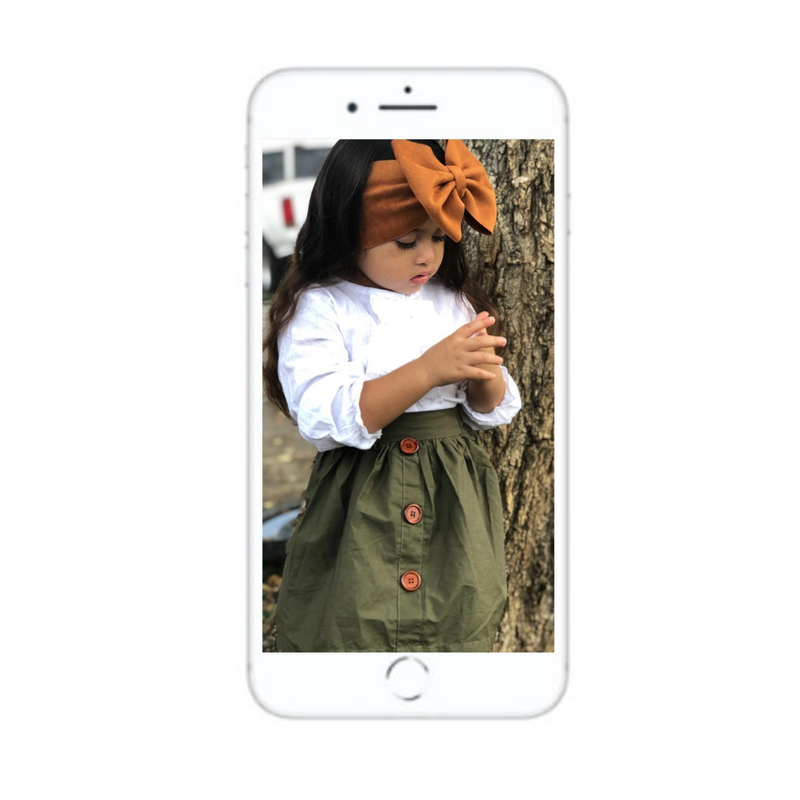 We are seeking photogenic babies & toddlers that can take great quality photos that can be featured in our marketing ads to help us reach a larger audience. Purchase an item from our shop to send in a photo. Take a Full Length photo that displays the entire outfit. Be sure that the photo dimensions fit the size of an Insta Story Post as shown in the example above. Post your photo in your Insta Story and send us the original to use in our ads. Photos must be high quality with no filters, edits, distracting backgrounds or other persons in the photo. Photo must be submitted within 7 days after the delivery date. Gain more instagram followers from being featured on our account and ads. Collaborators must submit a photo within 7 days of the posted delivery date. Photos must follow our guidelines to be featured. Features are not guaranteed. Collaborators are required to post on their Instagram Story and tag us in the photo. Initial purchase is required to participate in collaboration regardless of previous purchase history. To be eligible to receive $20 Shop credit, collaborators must meet all given requirements. If the photo quality does not meet our standards, we have the right to deny any and all perks. It is at our discretion whether or not to offer the stated perks to any collaborators. By continuing, you acknowledge and agree to our terms and conditions.